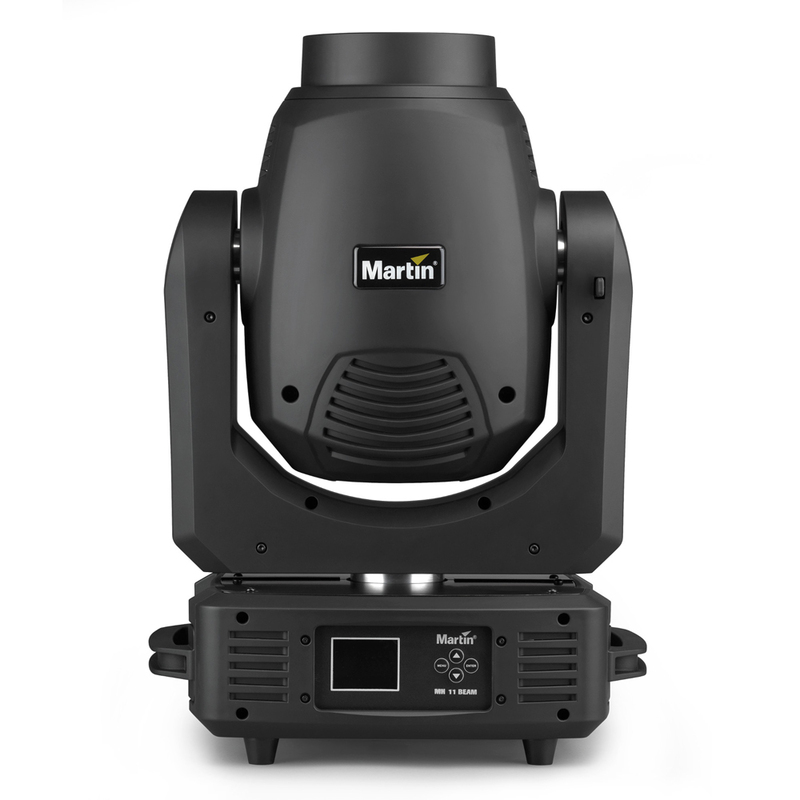 The Martin RUSH MH 11 Beam is a high-intensity beam moving head designed for high end installations and rental applications. 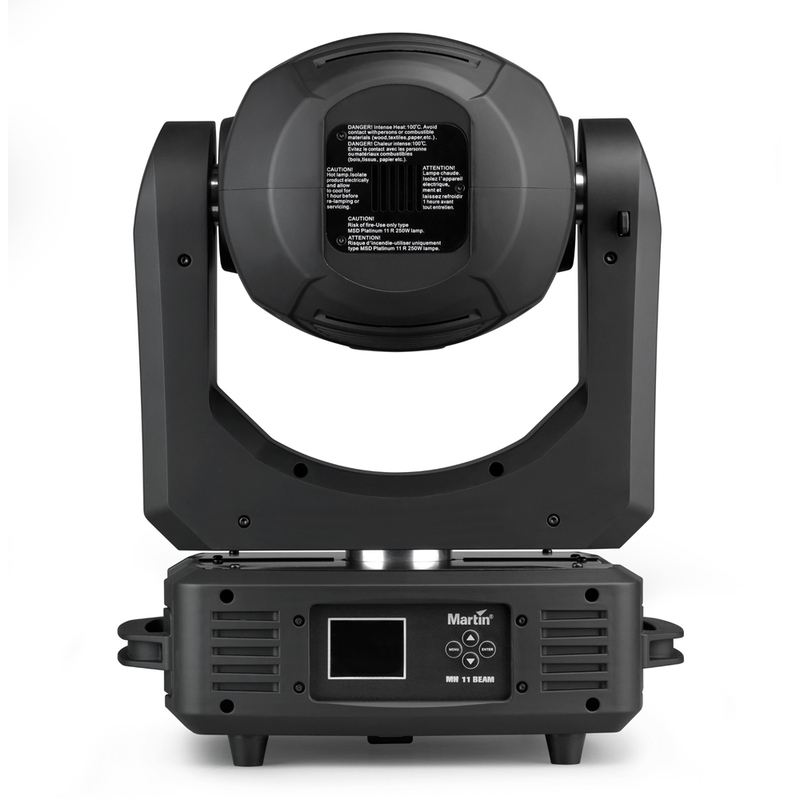 The RUSH MH 11 Beam utilizes the same 250W Platinum 11R lamp found in the Martin RUSH MH 7 Hybrid, but with refined beam optics that provide excellent intensity and sharp mid-air effects in a beam-only fixture. 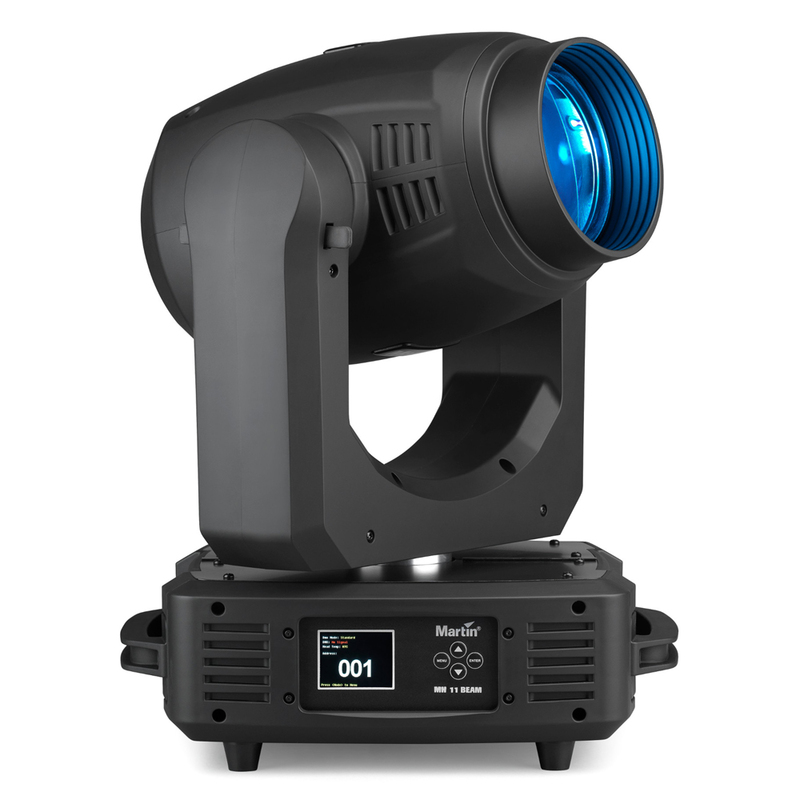 It also shares the same color temperature and palette with the RUSH MH 7 and MAC Axiom, for excellent color matching in a cost-effective beam-only fixture. 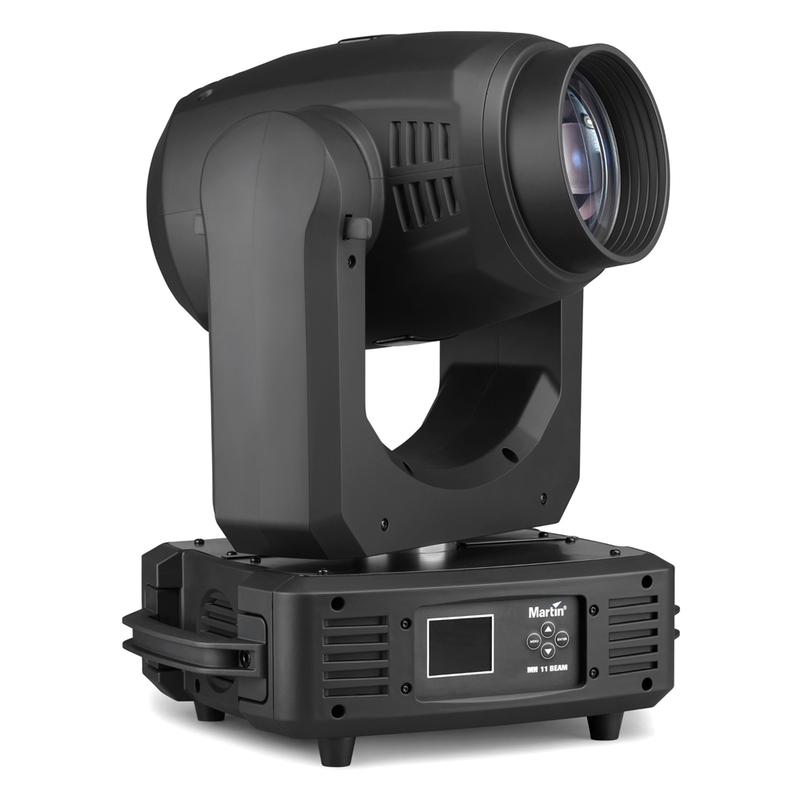 The high-intensity lamp combined with class-leading optics in the MH 11 allows the fixture to achieve sharp, high-output beam effects with a super-tight 2.6 degree beam angle. 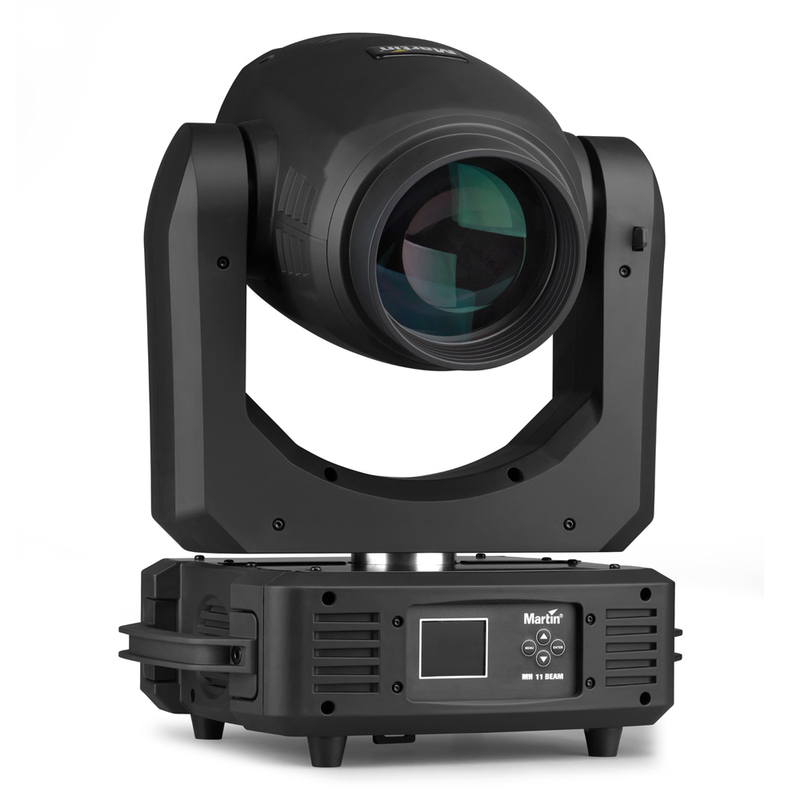 The fixture can produce a range of complex and precise mid-air looks utilizing 8 rotating and indexing gobos and an 8-facet prism. The fixture has 13 selectable colors and frost and motorized focus. The fixture is a perfect fit for high-end live venue installations such as nightlife, houses of worship, and cruise ships. 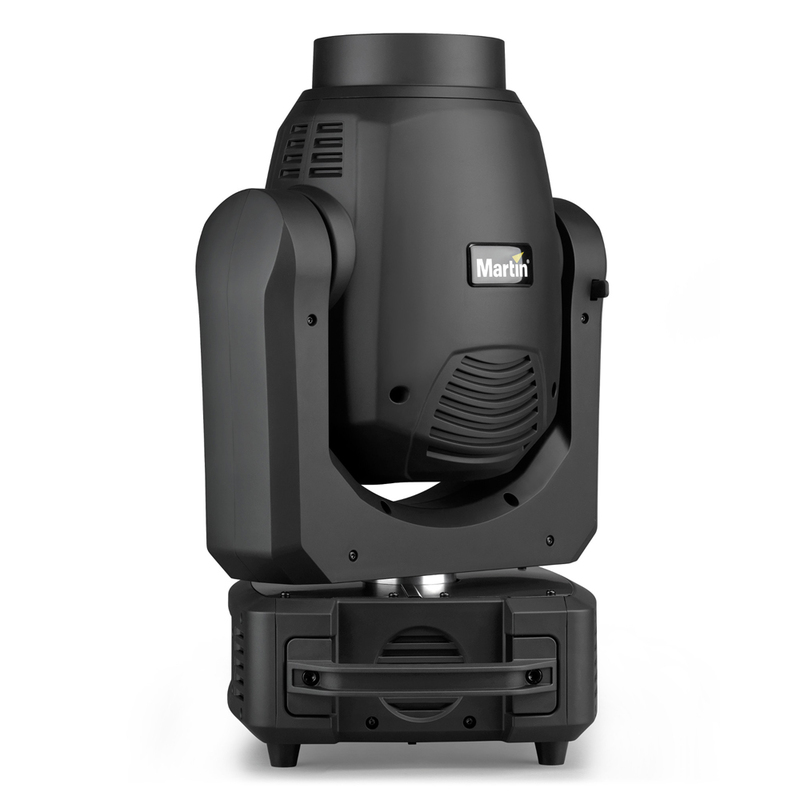 It also features a rugged industrial design for use in touring applications where Martin RUSH MH 7 and MAC Axiom fixtures are used. · Low weight—19.5 kg/43 lbs. Total heat dissipation (calculated, +/- 10%, at full intensity, full white): 1300 BTU/hr.